It seemed like a completely frivolous purchase and another thing for the overflowing kitchen gadget drawer. but I LOVE this thing! use it all the time. works on tomatoes, grapes... thinking about trying it on Brussels Sprouts. Love it! I do not like to touch uncooked chicken and this works like a charm! Best gadget ever and I love all my gadgets! 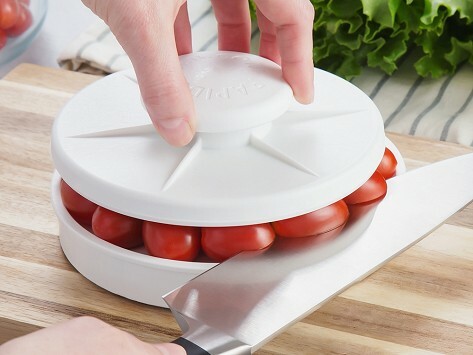 Great invention. 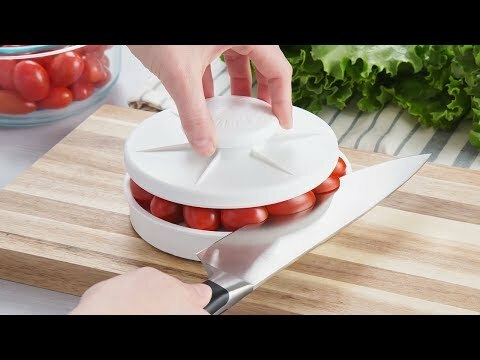 Very quick and easy tool for meal prep. Love it. I love the Rapid Slicer. I don't slice many small items like grapes or strawberries, but it's great to slice chicken breasts.